In recent years, there are a lot of different LED headlight conversion kits available in the market and this makes it very challenging to choose the right LED car headlight. But these LED headlights often have different lumen output that can range from 4000 Lumen to 6000 Lumens. The LED car headlight is extremely bright, but there are still some LED car headlights that claim to have about 8000 Lumen or 10000 Lumen or even 12000 Lumen. 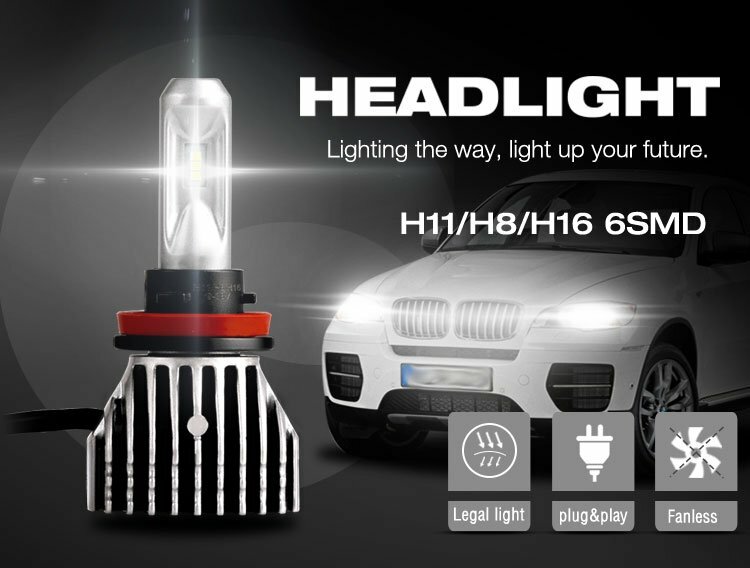 In order to be able to differentiate between the fake Lumen rating of LED car headlight and the actual Lumen rating of LED car headlight, it is important to understand what Lumen is. The Lumen is the SI unit of the luminous flux and it is often denoted as lm. Luminous flux is the measure of the total amount of visible light released by a source. The amount of Lumen is considered to be the level of brightness of the LED car headlight. The Lumen of a LED car headlight can be measured with the use of a device referred to as the integrating sphere. The sphere contains a bulb that emits light in it. The lights are often scattered by the interior of the integrating sphere and equally circulated to all angles. The total quantity of Lumen of a light source can be measured precisely by the integrating sphere as a result of the fact that it is capable of capturing light from all angles in the sphere. But when LED car headlight manufacturers claim that their LED car headlight have a certain quantity of Lumen, they are not talking about the quantity of Lumen as measured by the integrating sphere, they are talking about the theoretical peak quantity of Lumen in a perfect environment. But these theoretical peak amounts of the lumen cannot be reached because of the fact that LED car headlight’s luminous efficiency is often limited by a lot of objective and subjective factors and there is no perfect environment. The objective and subjective factors that can affect and decrease the LED car headlight’s luminous efficiency include the operating temperature, LED car bulb size and the heat radiating part. So when a LED car headlight’s manufacturer claims that their LED car headlight has about 4000 Lumen, it is probably possible that this LED car headlight has only 2500 Lumen. Generally, when the LED car headlights start to operate, the LED bulbs will generate heat and increase the temperature of the LED car headlight gradually. And as the LED car bulb gets hotter, the amount of Lumen will decrease gradually until it has achieved thermal equilibrium. This LED car headlight will continue to operate at this temperature and the heat radiating area will be fixed in order to produce a stable amount of Lumen output. The amount of Lumen gotten when the LED car headlight is stable is considered to be the actual amount of Lumen of the LED car headlight. Lost LED car headlights are capable of attaining their thermal equilibrium after about 5 to 15 minutes of operation. High-quality car headlights are often designed in a way that they will have a small gap between their peak Lumen amount and their Lumen amount when they have reached thermal equilibrium.